Have you experienced Miss Adventure Falls yet? It’s the brand-new family raft attraction that just debuted to guests at Disney’s Typhoon Lagoon Water Park. 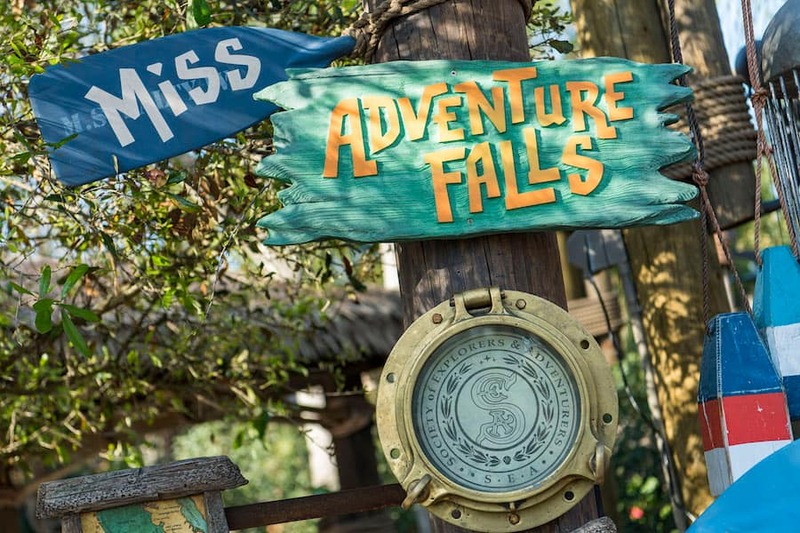 One of the most story-driven attractions ever created for one of our water parks, Miss Adventure Falls tells the tale of Captain Mary Oceaneer, a world famous treasure-hunter and member of the Society of Explorers and Adventurers (S.E.A). Years ago, the Captain made it her goal to sail the seven seas and collect treasures to share with the world. 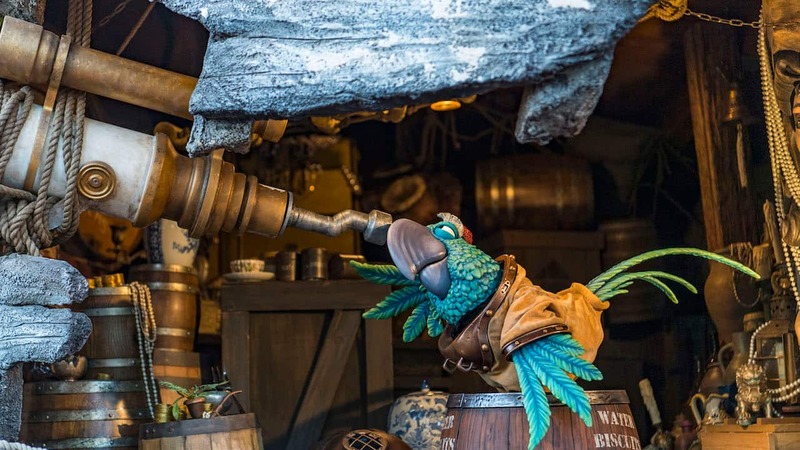 One day when Captain Mary was out diving for treasure, a rogue storm struck and carried her ship and precious artifacts all the way to Typhoon Lagoon! The details you’ll see on your journey to and through this family raft attraction give us a peek into the Captain’s adventures. 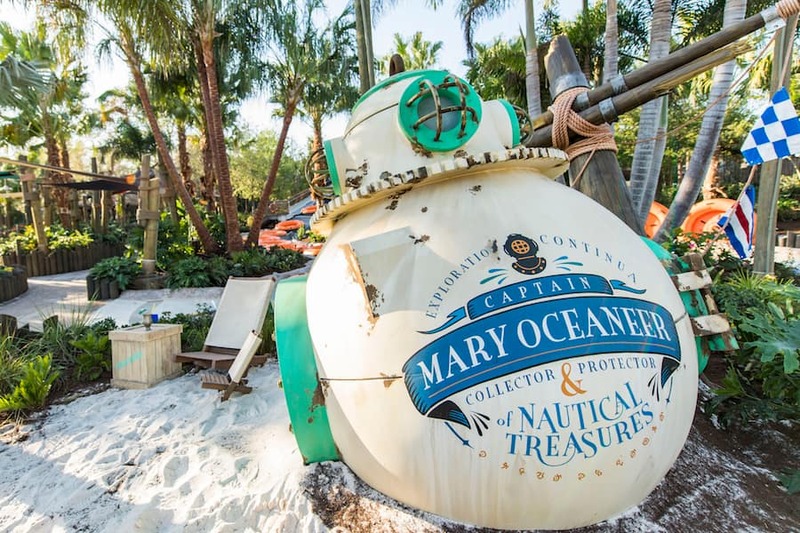 The entrance of the attraction is composed of items found at the site of the Captain’s shipwreck, including a bird cage, a diving helmet, a vintage Adventurer’s magazine that features the Captain on the cover and more. The queue is also a treasure trove for the eye. Here, you’ll pass unopened crates of S.E.A. artifacts, crackers for the Captain’s parrot, as well as parrot-shaped footprints (a sign that the Captain’s diving partner, the parrot Duncan, may have walked this way). On the lift up to the waterslide entrance, you’ll pass the hull of the M.S. Salty IV, which appears to have been snapped in half by the storm. Inside, Mary’s parrot and trusted diving partner, Duncan, is busy chatting, singing, and keeping an eye out for even more treasure. You can peek inside to spy’s Duncan’s unique treasure collection, telescope and more. 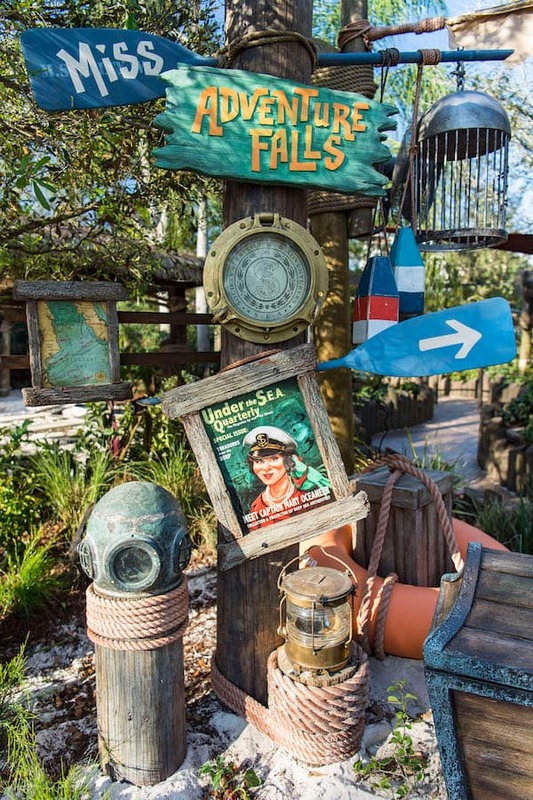 Will you check out Miss Adventure Falls on your next trip to Disney’s Typhoon Lagoon Water Park? Tell us in the comments section below. 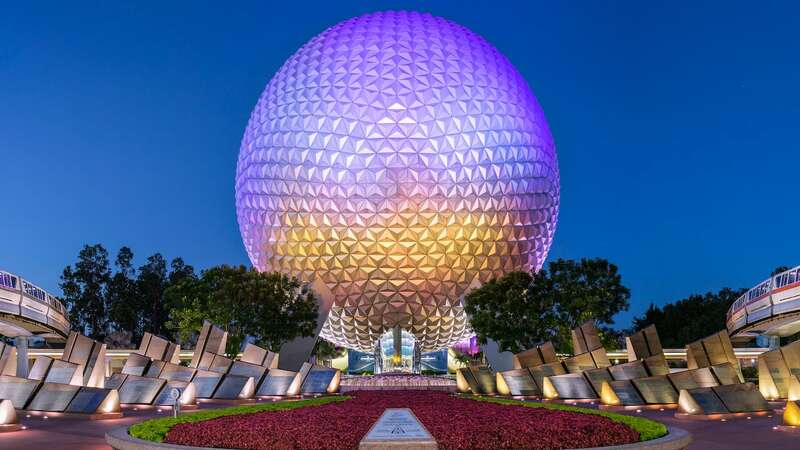 We look forward to riding this new ride. It’s hard to tell what kind of ride this will be. Sometimes not knowing, and encountering the surprise is better than knowing what to expect. Thanks for the update on Typhoon Lagoon. 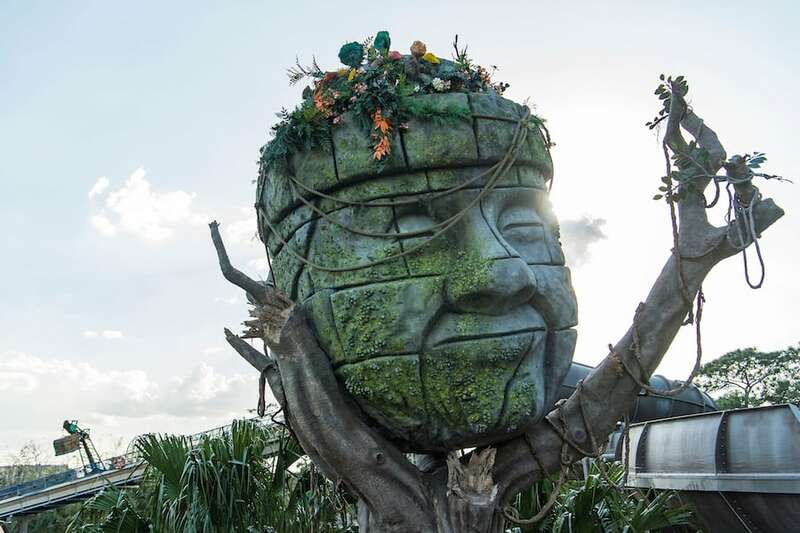 We LOVE Typhoon Lagoon and look forward to trying this new adventure when we visit this fall. Thanks for information about the story of this new attraction.